As the hunt for dormant "sparks of joy" within all the stuff filling our homes — closets, cabinets, garages and every nook and cranny — continues gaining momentum thanks to Netflix's viral series Tidying Up With Marie Kondo, many of us are now left staring down giant piles of unwanted stuff. 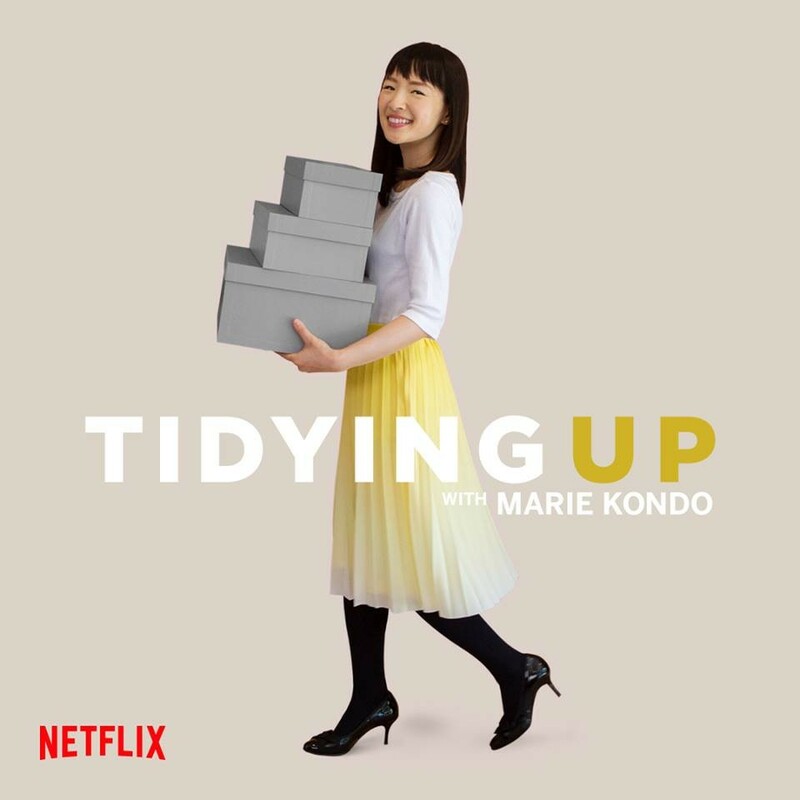 The entire prospect of Kondo's method, from the initial evaluation of how much material stuff we each own, to deciding what to keep or toss, and then finding a new home for it all, can be totally overwhelming, and often emotionally and mentally tolling. While thrift stores around the U.S. are already reporting donation spikes attributed to the show hosted by organizational superhero and bestselling author Marie Kondo, there are also plenty of nonprofits in every city that'll put your extra stuff to good use. Here, we've rounded up a list of several Inland Northwest-based organizations accepting new and gently used items such as clothing, furniture and books. We've also included links to each organization's website, giving more insight into what is and isn't accepted so all your efforts result in a win-win. While this list is not comprehensive of every local nonprofit that stands to benefit, we hope it sparks inspiration in readers to take their Kondo-ing a step further by supporting groups that in turn aid our community's most vulnerable populations. YWCA of Spokane: Clothing is accepted year-round to stock the YWCA's clothing bank, Our Sister's Closet, and its confidential safe shelter for domestic violence victims. Items sought include professional attire, accessories, handbags, shoes, athletic wear, maternity clothing, coats and cold weather accessories, along with new or gently used socks, bras, casual loungewear and PJs, shoes and slippers. Find more details here. Teen & Kid Closet: Fashionable, good quality clothing and accessories for kids and teens of any age and gender are accepted at the nonprofit's center during regular operating hours, or can be dropped off at any First Interstate Bank location in Spokane (a two bag/box limit is advised). Currently, Teen Closet is in greatest need of boy clothes in sizes 6-8 and new shoes in all sizes, for boys and girls. World Relief Spokane: Coats and winter accessories for men, women and children are distributed to all refugees served by the Spokane nonprofit. World Relief also accepts winter boots, hats, scarves, gloves, shoes and new socks. Our Place Spokane: This nonprofit based in the West Central Neighborhood is especially in need of gently used men's clothing, along with new socks, underwear and bedding items. Though some may have misinterpreted Kondo's philosophy for paring down your home library as an atrocious suggestion, the fact of the matter is that most of us have too many books (most that we'll read just once) collecting dust on a shelf. Local organizations can put those books to good use, either reselling them to fundraise, or redistributing them to underserved populations. Spokane Public Library: While the library sometimes adds donated materials into its collection, it also sells those books, movies and more at the Friends of the Spokane Public Library's regularly held book sales and its book store, both of which help raise money for library materials and programs. Donations can be taken to any of SPL's branches, just make sure they're visibly and properly marked as donations. See a detailed overview of what is and isn't accepted at this link. Books to Prisoners Spokane: This local volunteer-run group collects donated books that are then used to fulfill reading requests from incarcerated men and women in prisons across the U.S. Books can be dropped off at the Community Building (35 W. Main, second floor, PJALS office) during building hours. World Relief Spokane: To help refugees resettle into their new lives here, World Relief also accepts a range of household goods, from new/gently used furniture, small appliances and electronics, to dishes, cookware and more. See a complete list of accepted items on its website. Global Neighborhood: To help refugees successfully resettle in our region through its job readiness program, the nonprofit operates a thrift store in North Spokane. To stock the store, Global Neighborhood accepts clothing, furniture, household items and more. Plus, its staff will come to your house by appointment to pick up unwanted stuff. Union Gospel Mission: In addition to aiding the residents of its Spokane-area shelters, donations to UGM of clothing, furniture and other items are also sold at its local thrift stores, the proceeds of which support its homeless and recovery programs, as well as job training for members of the community who may be unemployable. See the above link for drop-off sites and how to schedule a pickup. Catholic Charities Eastern Washington: The wide-reaching nonprofit accepts donated items that support its served populations, including clothing for men, women and children, bedding, baby supplies, books, small household items and more. For a complete list of needed goods, click here. Habitat for Humanity Spokane: The nonprofit's East Spokane store resells new and used home improvement and building supplies, as well as furniture, appliances and more. You can schedule a pickup from your home by calling 535-9517. More details here. Arc of Spokane: In addition to clothing and all manner of other items, the Arc of Spokane's thrift store just north of the Spokane River accepts household goods and furniture. Its staff also are willing to come to your home to pick up donations; to schedule a pickup call 328-8100 or fill out a donation form online. For even more resources on where to donate what in the Inland Northwest, head to Spokane Cares (spokanecares.org) for a detailed donation guide that also includes helpful information and reminders on how to make sure donations are safe for intended recipients, qualified for tax deductions and will not be a burden because items are unusable or unwanted. This post was updated on Jan. 17.